To many customers looking at electronics, higher numbers are usually associated with “better and faster.” Cameras are no exception, where manufacturers will market the number of megapixels as explicitly as possible. Enter Samsung’s newly announced 1/2.3-inch CMOS image sensor, capable of capturing 16 megapixel images. Called the S5K2P1, the 1.34 micrometer sensor has been designed to fit in cell phones and camcorders and everything in between. “Introducing advanced high-resolution images based on BSI pixel technology supports further adoption of Samsung COS imagers to compact digital cameras and camcorder applications,” said VP of System LSI marketing at Samsung Dojun Rhee. The S5K2P1 supports a native 16:9 format with an 8.3 megapixel resolution at 60fps for video capture. The 16 megapixel images are achieved at 30fps for point-and-shoot images. The high-end CMOS sensor is currently available to certain manufacturers for sampling purposes, so don’t expect to see devices or tablets with a 16 megapixel camera just yet. Mass production of the S52P1 is scheduled for this November. TAIPEI, Taiwan--(BUSINESS WIRE)--Samsung Electronics Co., Ltd., a world leader in advanced semiconductor solutions, today announced its new 1/2.3-inch 16 Megapixel (Mp) CMOS image sensor - the S5K2P1 - with Samsung’s advanced 1.34 micrometer (um) backside illumination (BSI) pixel technology. This 16Mp resolution imager is designed for high-performance, advanced smartphones as well as digital still cameras and camcorders. Samsung unveiled its new imager technology, including the S5K2P1, at the eighth annual Samsung Mobile Solutions Forum held at the Westin Taipei. Samsung’s S5K2P1 is an image sensor optimized for compact mobile CE devices, with excellent image quality in video mode. Supporting multiple interfaces, this image sensor is also suited for premium smartphones. The S5K2P1 sensor supports a native 16:9 format video at up to 8.3Mp resolution at 60 frames per second and maximum 16 Megapixel-resolution for point-and-shoot images at 30 frames per second without shutter lag effect. Using Samsung’s advanced 1.34um BSI pixel technology, the S5K2P1 delivers excellent sensitivity and low-noise performances. The S5K2P1 also provides brighter and more vivid pictures even at night and dark indoor conditions. According to market research firm TSR (Techno System Research), the digital still camera market is expected to reach 154 million units in 2012 where a substantial portion of up to 48.2 percent is forecast to be adoption of CMOS image sensors as the main sensor device. 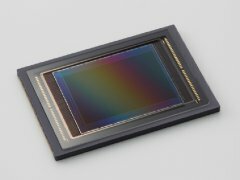 Samsung’s S5K2P1 image sensor is currently sampling to select customers. Mass production for this imager is scheduled for November 2011. SPECIAL NOTE: This is one of six news releases that Samsung Semiconductor issued over Business Wire this evening in conjunction with the Samsung Mobile Solutions Forum being held today in Taiwan.